William Estrada helps students create unique art. On November 7th from 5 to 7pm, a teacher, artist, cultural worker, and urban anthropologist named William Estrada came to Morton West to introduce his art and help students make their own buttons. 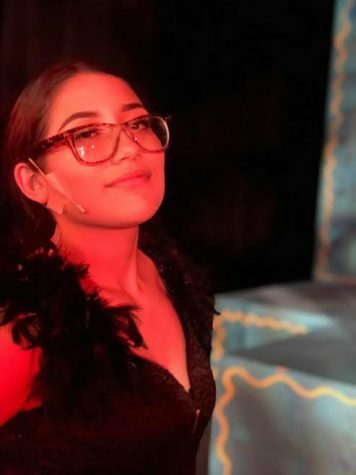 The event was part of an introductory event that preceded In the Heights, the fall theater play. 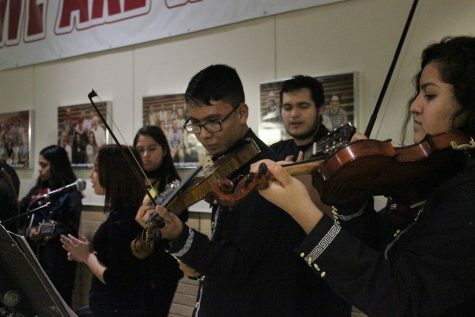 A Mariachi student band from East was on-hand for musical entertainment, and students and parents of the community were invited to enjoy in the artistic festivities. A Mariachi Band from East provides musical entertainment. Student Isabella Hernandez shows off her button creation. audience to critically re-examine the meanings of their surroundings.” He visited West to invite students to create their own art in button-style displays. 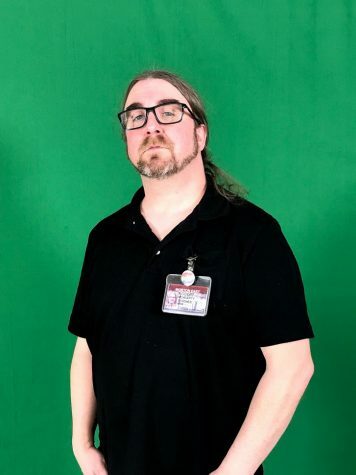 Mr. Moriarty and Ms. Obermaier were present with many of their video and photo students to learn from this budding creator. It was a great way to add to a fun-filled theater event.